As a parent and director of an overnight summer camp, I know that at this point in the season, campers and parents begin to experience a wide range of emotions (myself included!). Hopefully, the predominant feelings are those of excitement, but it’s also natural to be apprehensive and nervous. While it may be challenging to deal with these conflicting emotions, there are several things you can do to manage these emotions and set your child up for a successful and fun summer. Do a dry-run. Fear of the unknown is one of the biggest worries for children attending camp, so time spent at home “practicing” a typical day at camp may provide some reassurance and self-confidence. For example, have your child practice some of their routines without your assistance, such as getting into pajamas, brushing teeth, or picking out clothes in the morning. Practice overnights away. If your child has not slept away from home before, the best thing you can do for them is to arrange sleepovers between now and the beginning of camp. These experiences will stimulate feelings of independence and give your child confidence that they can cope with longer separations from home. Talk about your communication plan with your child. Remind them that they may not have access to phones but that they will be able to write letters and that you will be sending them mail. Help them create an address book with everyone’s contact information so that they can keep in touch with family and friends. Packing pre-addressed, stamped envelopes is a great way to ensure that letters get sent! Keep familiar faces nearby. Help your child create a little photo album of some of their favorite photos to bring with them. They will be able to show their friends and counselors and tell them all about where they are from! Be realistic. Like the rest of life, camp will have high and low moments and your child may have some down moments. 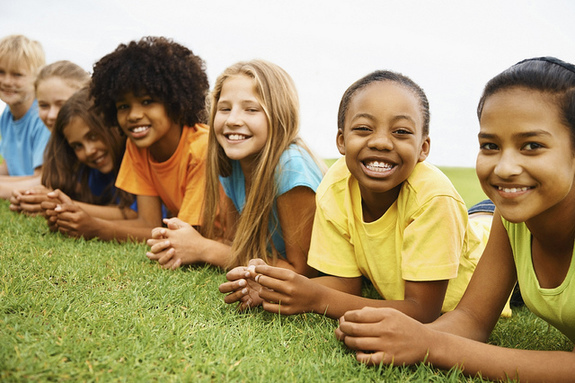 Your child should not feel pressured to feel a certain way at camp. Remind them that their main goal should be to have fun, and remind them that there will always be a counselor to talk to if they do ever feel sad. Avoid the “get out” clause. DO NOT make promises that imply that you will pick them up if they are sad or want to come home. These statements set your child up for failure and send a message that the only solution to a difficult feeling is to be rescued by you. It undermines your confidence in your child’s ability to cope with adversity. As you become anxious, try not to transmit that feeling to your child. Don’t emphasize the fact that you will miss them. Support words like “we will miss you so much” with “but we are so proud of you for trying this new experience.” Kids often internalize their parents’ anxiety and if your child is worried that you will be sad when they are gone, they may not be able to fully enjoy their experience. Becky Altman is a clinical social worker, and director of Beber Camp, a Jewish overnight camp for boys and girls, located in Wisconsin. She is the proud mom of 4-year-old twins Maya and Lincoln and loves living in the Andersonville neighborhood.